Stars Hollow Monthly will feature 3-5 products which are inspired by the Gilmore Girls and the fictional town of Stars Hollow. (Inspired by, meaning items that relate to, are inspired by, or are artistic renderings of the show and its inhabitants/characters.) 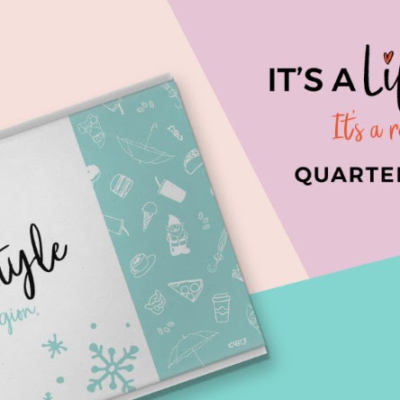 For $29.95, you can expect anything from tee shirts (on occasion), home decor, fashion accessories, bath & body items, and much much more. 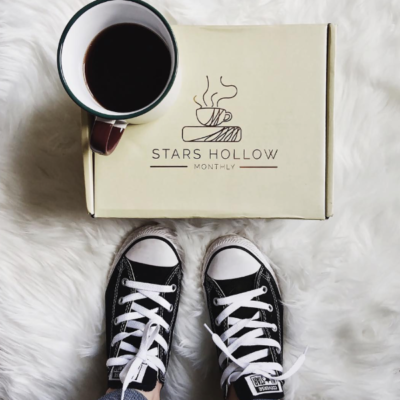 The goal for the Stars Hollow Monthly Box is to send subscribers items they will adore as fellow Gilmore enthusiasts, but also items anyone would enjoy – high-quality items that won’t gather dust in a drawer somewhere. My October Stars Hollow Monthly Box. Looks like take-out is on the menu! 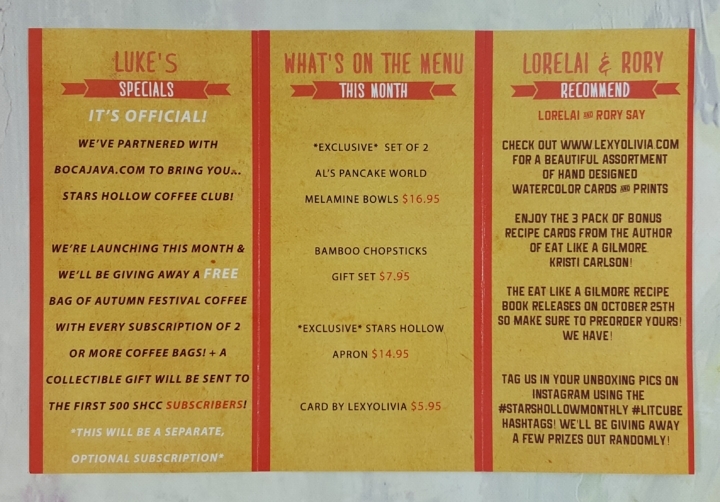 Luke’s menu is actually a fold out information sheet for the box. Did you notice that the menu changed? 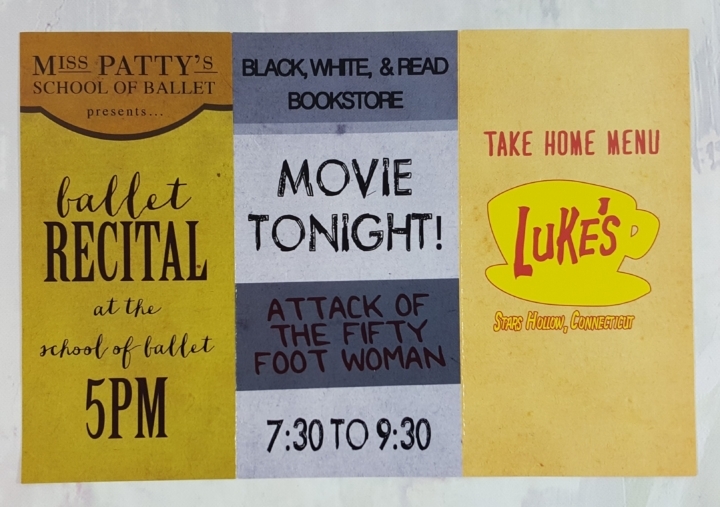 The ad for Doose’s Market has been replaced by Miss Patty’s recital and Kirk’s long list of jobs is now a notice for the bookstore. Is this change to go along with the new Gilmore Girls revival?!? 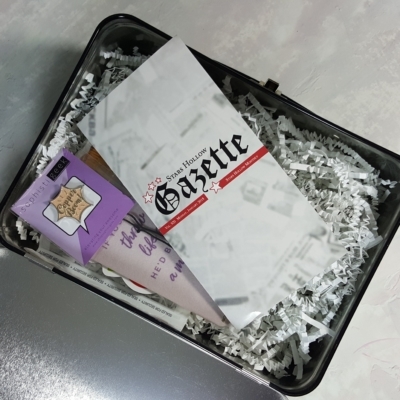 The inside of the menu contains a list of the box contents with pricing, as well as discount codes for some of the items. 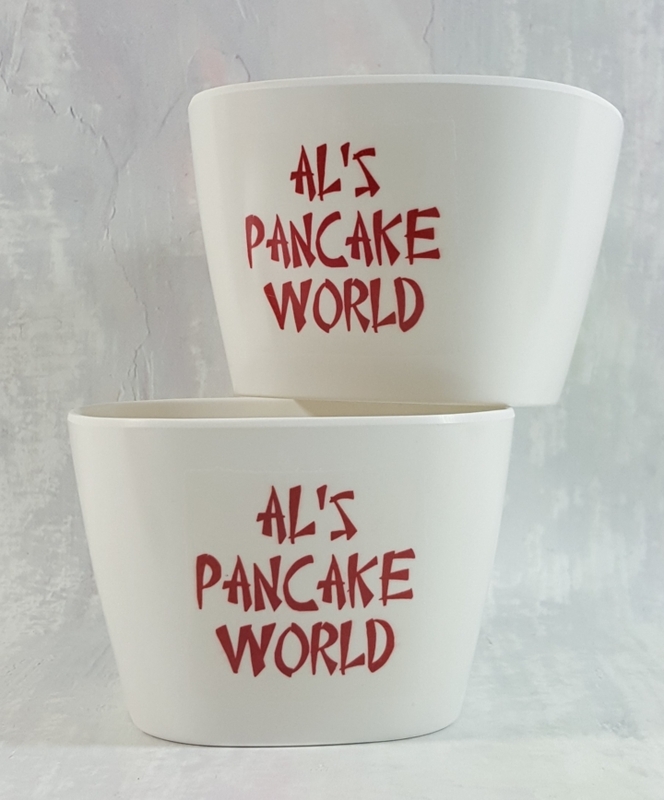 *EXCLUSIVE* Set of 2 Al’s Pancake World Melamine Bowls ($16.95): Lorelai and Rory eat at Al’s almost as much as they do Luke’s. For those not in the know, Al’s Pancake World is a restaurant in Stars Hollow. Al got tired of pancakes and decided to create a different international menu each week. Looks like this week’s featured cuisine is Chinese (which the girls frequently order). I feel that the cost for this set is a bit inflated – you can buy similar sized bowls in sets of 4 and 6 for under $10. 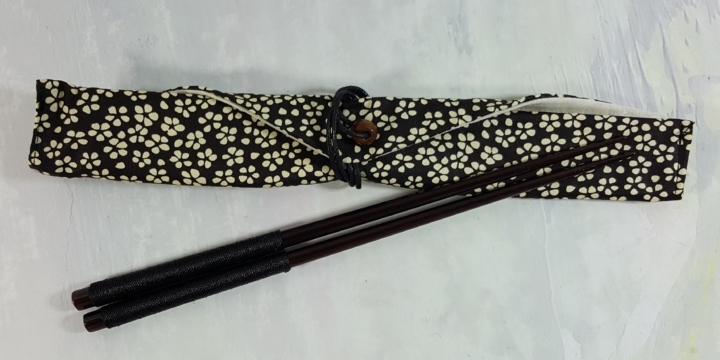 Bamboo Chopsticks Gift Set ($7.95): This is a handsome set of chopsticks with a dark finish. They feature decorative rope on the handles and come with a flower-patterned satin bag. 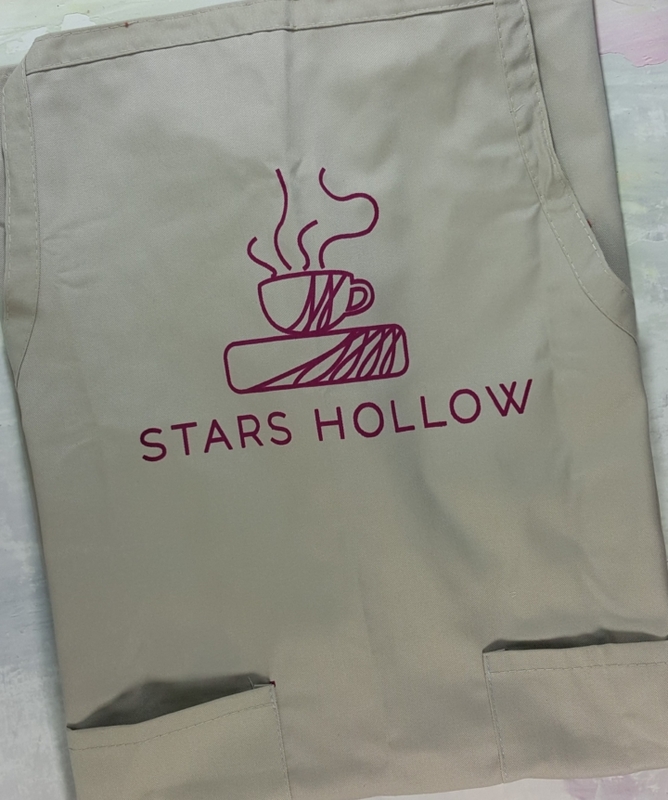 *EXCLUSIVE* Stars Hollow Apron ($14.95): This is a heavy duty cotton twill apron with adjustable neck strap, 2 front pockets, and drawstring closure at the waist. I was surprised at the price. Most Gilmore Girls aprons that I’ve seen are around $20, so this was a good deal. If you’re looking for other styles, I found some cute ones here. 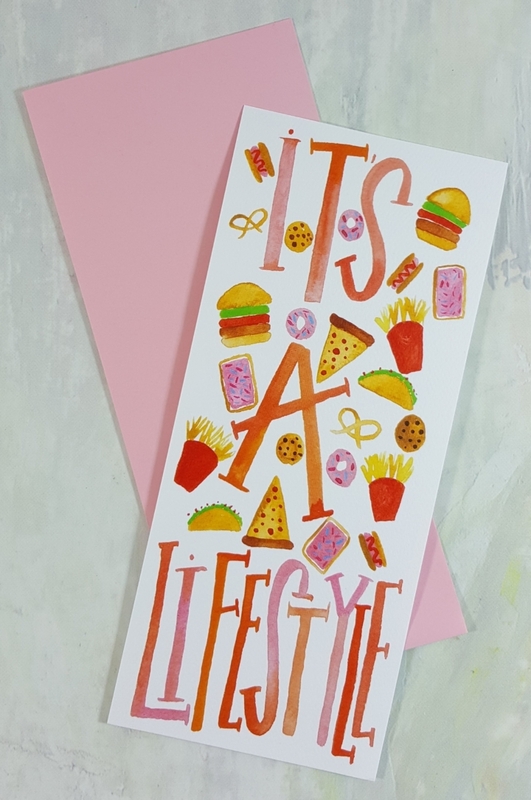 Card by LexyOlivia ($5.95): Designed exclusively for Lit Cube, this 3″ x 8″ handmade water color print features Pop Tarts, cookies, tacos, and other foods. It is inspired by the episode “That Damn Donna Reed.” If you don’t remember the episode from season one, click here for a synopsis. The print is selling for $10 on LexyOlivia’s Etsy shop. 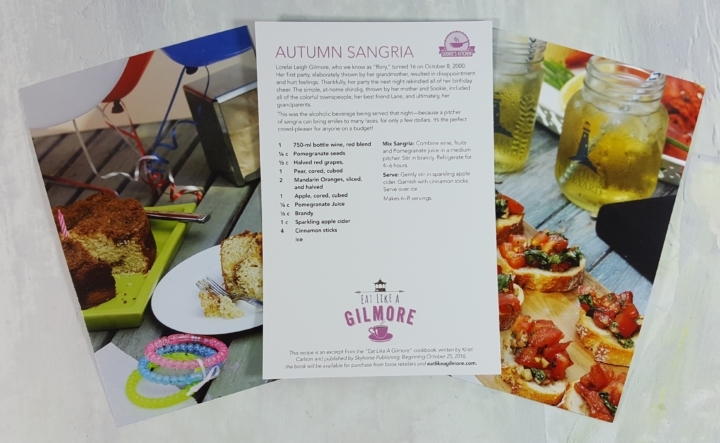 **BONUS** 3-Pack of Recipe Cards from Kristi Carlson: These recipes can be found in the new book, Eat Like a Gilmore. They “invoke key episodes and daily scenes in the Gilmores’ lives”. 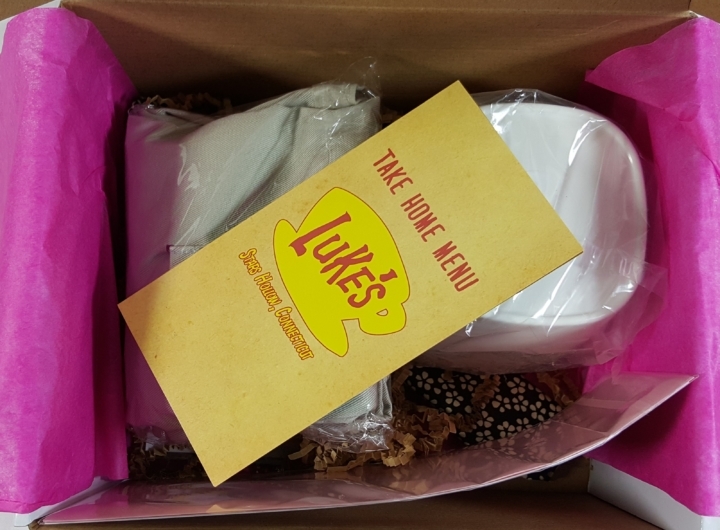 Now you can actually eat the same foods as the Gilmore Girls in the privacy of your own home. The coffee cake and sangria recipes are from Rory’s 16th birthday. 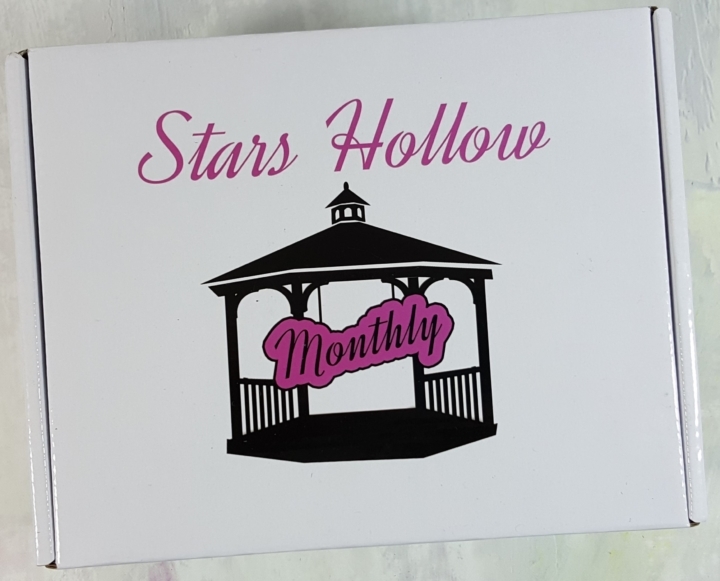 The October Stars Hollow Monthly Box had a value of $46. The apron will come in handy while I prepare my Thanksgiving menu. Maybe I’ll make a pitcher of the Autumn Sangria to drink while I watch the new Netflix shows. 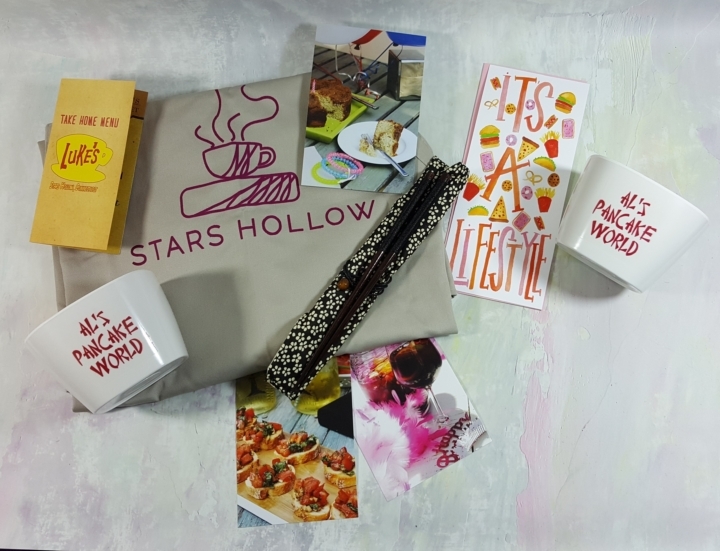 What did you think of this edition of the Stars Hollow Monthly Box ? Leave a comment below and share your thoughts. Visit Stars Hollow Monthly to subscribe or find out more! Summer is a retail junkie who got hooked on subscription boxes thanks to her very persuasive friend. 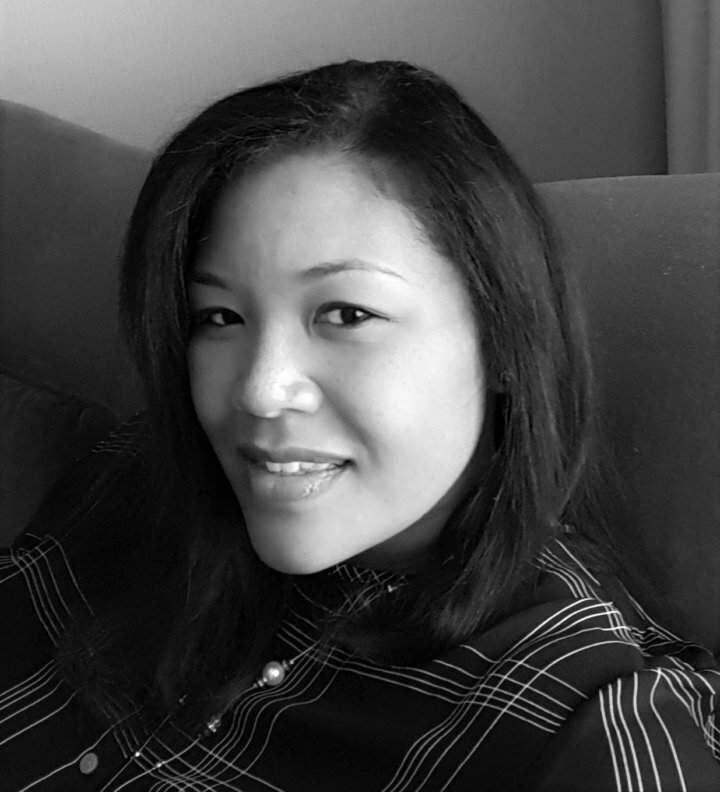 She's addicted to sales, shoes, cooking shows (she can veg all day to the Food Network), and finding new beauty products.